First off: this question assumes that at least one of the main purposes of a book club is to discuss a book with friends and acquaintances whose opinions and ideas you respect. Other purposes can certainly include wine, cheese, chocolate, gossip, etc., but in the context of this post, “book club” refers to a group whose members read (at least partially) and discuss (at least for a while) books on a semi-regular schedule. So you are in, or want to start, a book club: how do you choose a book? There are all kinds of processes, from democratic to dictatorial, but I’m not going into that here. Whatever your process, the real question is: how do you make sure your selected book can fuel a discussion? There are books I have enjoyed, but about which I have had very little to say; there are books I have loved, but have not been able to talk about well. It is often easier to identify what you dislike about a book, and harder to say what makes you love one; however, you don’t want to choose a book you think you’ll hate, just for the purpose of discussion. In the best book club discussions I’ve been part of, there have been lots of mixed opinions. A character might inspire sympathy in some readers, indifference in others; an author’s writing style might be praised as poetic by some, while others will dismiss it as too flowery. Differences in opinion drive discussion, but these differences have more to do with the book’s readers than the book itself. What about the book itself? I look for the thought-provoking book: the book with a central moral dilemma, where the characters must make difficult decisions or deal with unfamiliar situations. Ann Patchett is one author who excels at putting wonderfully real characters into settings that are strange or uncomfortable for them: a Jewish woman from Los Angeles in Nebraska with her in-laws, a shy scientist searching for her lost coworker in the Amazon, opera lovers held hostage in a South American country. Chris Cleave, on the other hand, is a master of the moral dilemma: family or ambition, sacrifice or cowardice? Other books explore the future, or alternative versions of the present, and these books are thought-provoking in their own ways. 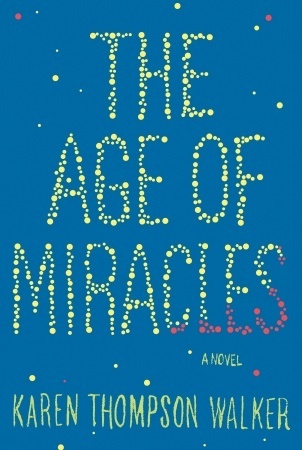 Examples of these are A Visit from the Goon Squad by Jennifer Egan, Never Let Me Go by Kazuo Ishiguro, The Age of Miracles by Karen Thompson Walker, and The World Without Us by Alan Weisman (nonfiction). The beauty of these books is that they subtly encourage you to put yourself in the character’s shoes, to compare the character’s actions and thoughts with what you imagine your actions and thoughts might be in his or her place. Other books are simply unique in some way. 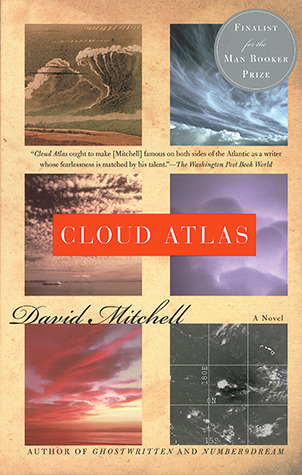 Cloud Atlas by David Mitchell has an inventive structure: it consists of six related narratives told in halves (in the first half of the book, each narrative is interrupted by its successor; in the second half of the book, “each interruption is recontinued, in order”). 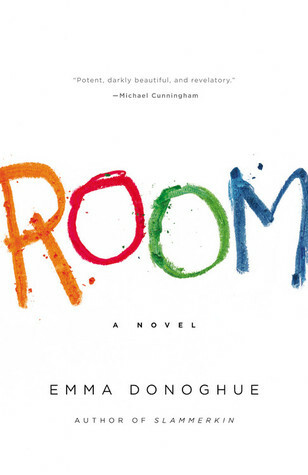 Other stories are unique because of their premise: Room by Emma Donoghue not only features a five-year-old narrator, but one who has lived with his mother in one room for his whole life. Arcadia by Lauren Groff is the story of Bit, a child born on a commune, who at age fourteen is plunged into the real world when the utopian community dissolves. -Page count: most people don’t have the time for thousand-page tomes. -Availability: Are your book club members willing to buy the book, or is everyone going to get it from the library? Something to consider before choosing that brand-new hardcover bestseller. -Description/interest: the description of the book should appeal to a majority of the group; reviews need not be stellar but should be at least promising. -Awards: If you have no idea where to start, there are plenty of awards lists, including the Pulitzer, the Booker, and the National Book Award, as well as genre awards like the Hugo, Edgar, and Nebula. Remember that awards are a good guideline, but they are also subjective. -New vs. re-reading: book clubs can be great for re-hashing old favorites, but they’re also a great place to try new things and tackle challenging works that wouldn’t appeal to you solo. I might never have read Cloud Atlas on my own, but I loved it. Also, with a well-read bunch, it can be hard to find a book that everyone is interested in reading but that no one has read yet, so a willingness to re-read is a plus. What are your book club success stories? Flops? What books do you think inspire discussion? Add suggestions and discuss in the comments. We meet monthly and have a totally democratic voting process for choosing books. Like in politics, I sometimes think this process leads to “safe” choices instead of the most engaging books. On the other hand, I’ve read books I never would have chosen on my own. And, once in a while, my favorite titles end up being chosen. We recently had a terrific discussion of The Particular Sadness of Lemon Cake.